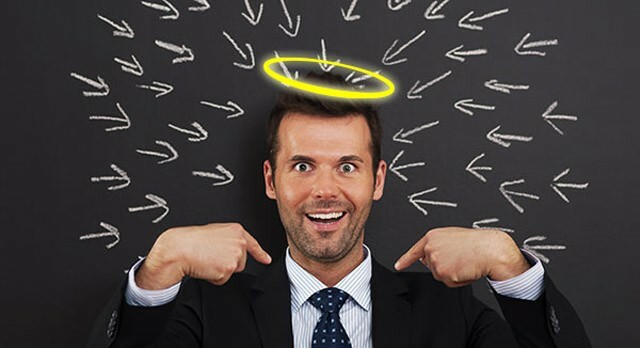 例句：The halo effect is a term used in marketing to explain the bias shown by customers towards certain products because of a favorable experience with other products made by the same manufacturer or maker. 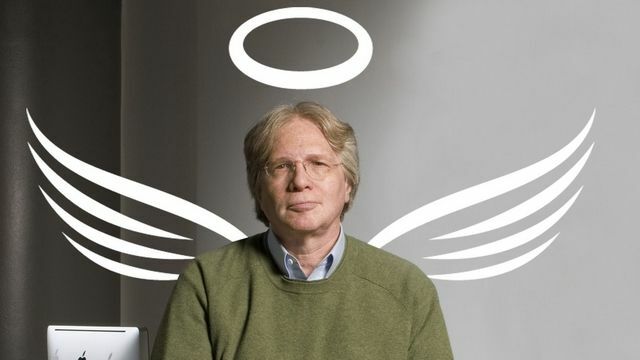 例句：The halo effect has the potential to not only increase customer traffic but also pricing, which are the two main levers of revenue growth. 例句：The halo effect is effective for companies with high brand equity and in industries that rely heavily on brand equity to grow demand. Did you ever have a kid in class that could do absolutely no wrong that a teacher thought they were good all the time, whether they were actually good or not was a different question, well, let me try and explain that by using this graph. The first thing that I want to do is label the axis, now the vertical axis is going to be our rating of an individual from very good at the top to very poor at the bottom, and the midline being average and our horizontal axis these bars are going to represent different skills. Okay, so let’s take Jim an average worker at our company. I’m going to draw in one extra bar here, and imagine our average impression of him is decidedly unremarkable, kind of in the middle. I’m going to label that for you, so our overall impression is decidedly unremarkable, but the first bar, this is going to be how good he’s at accounting. We see that he’s actually pretty good, the second bar is going to represent his sales and we see that this is actually not that good, and the third bar is going to represent his leadership, that’s okay, moderately good. Now as we can see we’ve got, uh, we’ve got an average impression and he’s got different varying skills. Now what I want to do is consider Jim with the same profile with the same skill set, but imagine now for some reason we have a really excellent overall impression of him, maybe he made a fantastic first impression for us on the first day that we met him or somebody that we know said, “you know what this guy’s remarkable”, even though he has the same actual skill set, let’s imagine our overall impression of him for some reason is brilliant, now one of the things I can happen is that if our overall impression is good, we may perceive that, being the keyword perceive, that the person is actually much better and other skills that have not been demonstrated than they really are. So his accounting instead of being very good, we might think those accounting as extraordinary, his sales even though they’re normally seem to be pretty weak, pretty bad, we may actually because of our overall impression is so good, perceive or think that he’s actually pretty pretty pretty good at sales. whether or not we have any evidence to support that, and in regards to his leadership instead of thinking, yeah you know what, actually he’s only demonstrated and that he’s a moderately good leader we may perceive that he’s extraordinary. Now as you can see here it’s almost as if he has a halo on his head, and this halo means that he can do no wrong. Our overall impression of him is very good, that means that all his other skills also seem to get this halo boost, so what we’re talking about here is the halo effect if our overall perception is that someone is outstanding, we may think that other traits or other skills that they have are also outstanding, whether or not we have any evidence to suggest that’s true or not, this can actually often happen with celebrities, and attractiveness is another feature instead of overall impression, we can actually replace this with an attractiveness in some instances. So if somebody is very attractive we may think that they’re actually probably very kind, or they may be very good leaders or they may be very hospitable, even if we don’t have any evidence to support that. On the flip side of this, imagine somebody to whom we actually think they are very weak, our overall impression is actually very poor. Now here the opposite thing can happen, their baseline skills and these individuals all have the same baseline skills, we can perceive them to be weaker than they actually are, so instead of them being very very good at accounting, we can think that there hmm almost mediocre, and instead of them being bad at sales, we can perceive them to be awful really bad, and the leadership, instead of being moderately good may also take a hit, and the amount of the reduction that we see is totally variable depending on the person in that situation and strength of that effect. can carry over into negatively influencing how we see a lot of other attributes about a person. So these are different ways in which our perception of individual can be affected by our overall impression or our particular impression of a single attribute. The halo effect where we get this bump and the devil effect where we get a reduction in their perceived skills, so the kid in class that could do no wrong, the teacher may have been seeing a bit of a halo on their head, and the kid that was always wrong and could do no right, maybe they have a little bit of the devil effect or the reverse halo effect going on.